One of the newest features of the Fair is the Georgia Grown Building. 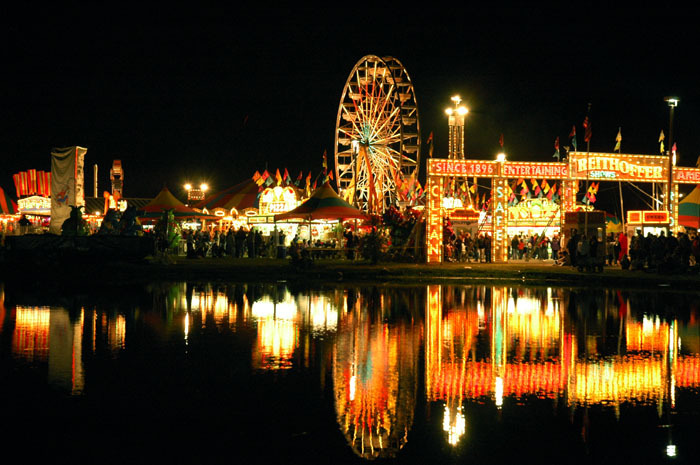 This is a joint project of the Georgia National Fair and the Georgia Department of Agriculture. 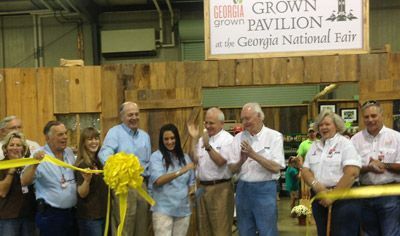 During the 11 days of the Fair, the building features space dedicated solely to Georgia Grown products, manufacturers, and agricultural businesses. 3:00 p.m. Egg Candling- What's in an Egg? Join the Georgia Department of Agriculture's Egg Candling Inspectors during this informative session on egg grading factors used to determine quality, and the candling technique. You will also learn how to become certified to obtain an egg candling certificate and/or license from the Georgia Department of Agriculture. 5:00 p.m. Egg Candling- What's in an Egg? Join the Georgia Department of Agriculture's Egg Candling Inspectors during this informative session on egg grading factors used to determine quality, and the candling technique. You will also learn how to become certified to obtain an egg candling certificate and/or license from the Georgia Department of Agriculture.